THE SPORAH MAGAZINE: ZIM MODEL "16" FACE OF LOUIS VUITTON! ZIM MODEL "16" FACE OF LOUIS VUITTON! Living the dream ... Nyasha Matonhodze modelling for Louis Vuitton. A 16-YEAR-OLD Zimbabwean teenager has become the unlikely face of Louis Vuitton’s autumn/winter 2011 campaign. Nyasha Matonhodze, who now lives in Northampton, England, joins five other up-and-coming models in the luxury French fashion label’s campaign. Matonhodze, who was raised by her grandmother, moved to England with her mum at the age of eight. It was not until 2009 that she got her break in modeling when she walked into prestigious Elite model agency in her school uniform – driven only by a dream. But only in her wildest of dreams would she have dreamt that just two years later, she would be the face of a luxury brand like Louis Vuitton. Now she follows in the footsteps of Madonna and Scarlett Johansson who have starred in previous campaigns for the fashion label. "My eyes filled up with tears and I thought 'Lord you are lucky!'" she said of the moment she discovered she had been chosen to star in Vuitton's campaign, photographed in a vintage car at a disused Brooklyn aerodrome. "It didn't actually hit me until I was sat in a Rolls Royce sitting eye-to-eye with Steven Meisel [renowned fashion photographer]. He is a wonder to work with, he and Marc Jacobs [Vuitton's creative director] made me feel beautiful". In addition to the Vuitton campaign, Matonhodze has also been photographed for top US fashion magazines Harper's Bazaar, and Teen Vogue. "Nyasha is not only very beautiful she has the little extra thing you can’t quite put your finger on," a spokesperson for Elite said, "She is intelligent, graceful and people who meet and work with her instantly fall in love with her. I have no doubt she has the potential to go all the way." Matonhodze was booked for Vuitton’s autumn/winter 2011 catwalk show at Paris Fashion Week in March, starring alongside veteran models Kate Moss and Naomi Campbell. Other upcoming models in the campaign are Zuzanna Bijoch, 17, Daphne Groeneveld 16, Gertrud Hegelund, 20, Anaïs Pouliot, 19 and Fei Fei Sun, 21, -- which makes for an average age of 18. 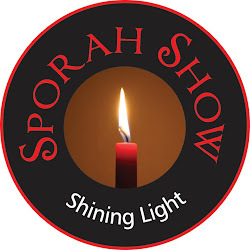 DO YOU HAVE AN INSPIRING STORY TO SHARE WITH THE SPORAH SHOW? 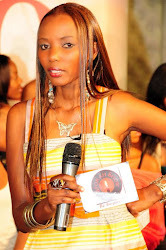 EXCLUSIVE INTERVIEW WITH TANZANIA'S MOST POPULAR BLOGGER ISSA MICHUZI! HOPING THAT YOUR DAY WILL BE AS SPECIAL AS YOU ARE! PETER ALLEN KIGONYA TALKS TO SPORAH NJAU! SAYING NO AND MEANING IT! PAYING NO ATTENTION TO HATERS, URBAN PULSE REACHING FOR THE SKIES TO BECOME MEDIA GIANTS. HEY, DID YOU HEAR? I'M LESS ATTRACTIVE! IT HAS BEEN MY WISH TO DRESS MY PRESIDENT HIS EXCELLENCY DR. JAKAYA MRISHO KIKWETE IN ONE OF MY SUITS..! 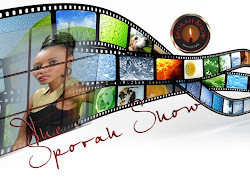 YOUR NAME SPORAH DID YOU MAKE IT UP TO SOUND LIKE OPRAH OR IS YOUR ACTUAL NAME?..! Aaw..! ARE YOU A GOOD WRITER OR A GOOD RESEARCHER..? WE NEED YOU..! iMagazine (c) 2011.. Powered by Blogger.